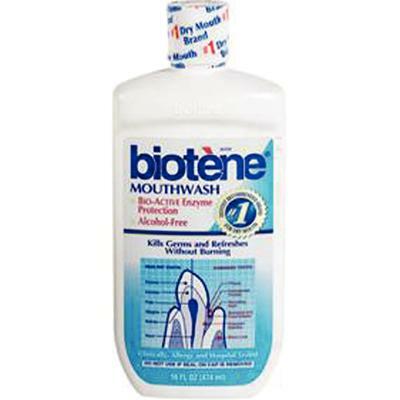 Biotene® Mouthwash is a soothing oral rinse that cleanses and helps relieve dry mouth symptoms. 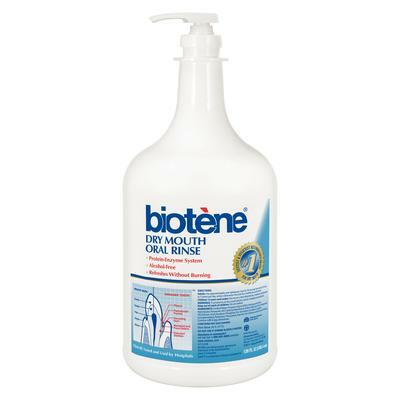 Alcohol free and contains beneficial enzymes found in saliva to help maintain the oral environment and provide dry mouth relief. 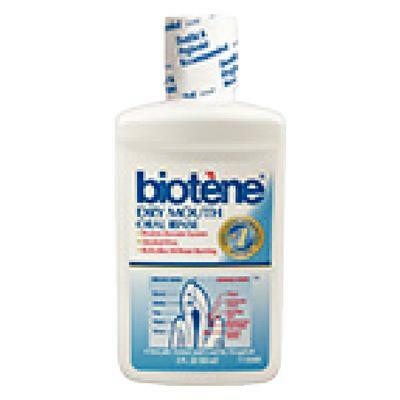 Neutralizes mouth odors, cleans and refreshes without burning. SLS free and contains xylitol.